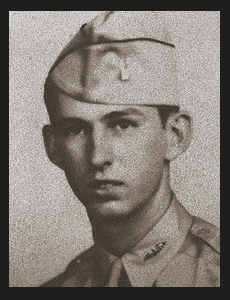 1st Lt. Jim J. Loftis, son of Mr. and Mrs. Charles Loftis, graduated from A&M College. Entered Army in March, 1943, trained in Ft. Knox, Ky. and Camp Chaffee, Ark. ; served in England, France, Belgium Holland and Germany; is now on duty in Camp Swift, Texas.